About two years ago, I had a life-changing experience that drastically improved my life. I knew I was overweight and I tried a lot of different diets and they never worked for me. I was overweight and depressed and go to the point where I didn’t care anymore. Then one day my sons came to me and said, “Mom, you are really fat and we don’t want you do die.” Talk about feeling so sad, I saw the fear and the hurt in their face. I didn’t want to do this to my sons, at this point I knew I had to do something. The first thing I did was stand on a scale. This in itself was an obstacle considering I had never owned a scale. Boy was I shocked when I saw the number 210 appear. How did I do this to myself? I could not believe I weighed that much. And so my journey began..... I started eating right and counting calories (which was not easy), but I soon realized I would never reach my goal without exercise. I started Cardio Kickboxing at Magnolia Brazilian Jiu Jitsu with Carina Caldwell as my instructor. This was a fun way to exercise! The weight started coming off and I was having fun doing it. After six months of Cardio Kickboxing, I decided to try Brazilian Jiu Jitsu and MMA with Scott Caldwell and trainer Derek Bain. Two years later, I am currently training to take on MMA cage fighting! My two sons participate in the Brazlian Jiu Jitsu class for kids and my husband joins me for the Fighter Fitness class on sundays. I went from a size 16 pants to a size 4. I have lost 55 Ibs and counting. I am not going to lie to you, it was not easy. You have to push yourself to take that first step to go and workout. The only thing stopping you is yourself. Everyone has the little voice telling them I will start next week, but then you don’t. Silence that voice and just do it. Coming in to BJJ I was not exactly sure what to expect . Obviously trying something new I had feeling of nervousness, how bad was this going to hurt, how bad was I going to get beat up? Wow was I wrong. The environment at Magnolia Brazilian Jiu Jitsu is one of humbleness and respect. In other words there are no egos. The main thing Scott preaches is being a good partner and taking care of one another. From the first session you are given a basic Orientation Class in which you are exposed to the fundamentals of BJJ. So after only one class you already have somewhat of an understanding of what you are going to be exposed to at Magnolia BJJ. My son came to MBJJ with a friend during the summer. I had no clue what they were doing in the children's Jiu Jitsu class, but my son loved it and wanted to come again. I was amazed at how quickly he caught on under the guidance of Scott and his team of instructors. I am impressed with their patience with every child, and the fact that they promote respect and integrity. Plus, Jiu Jitsu is something my son can use for the rest of his life as a sport, a great way to stay fit and also self defense. I have been taking Natasha's kickboxing class at MBJJ as well. I love the friendly and encouraging environment. Natasha mixes up her classes so they are never exactly the same. She knows how to push each of her students to achieve a workout that gets results. We sweat a lot, hit, kick and punch a lot, but laugh a lot as well. We enrolled our two sons at Magnolia BJJ two months ago and we love it! The instructors challenge our children to improve on their weaknesses while showing them self defense. Our children can’t wait to go each week because they have fun and don’t even realize they are learning. We look forward to it because it gives them exercise, helps them socialize, shows them how to protect themselves, and is very affordable. Jiu Jitsu is also a safer means of self defense than Karate which uses hard kicks and punches. Here they learn to use their body weight. While we are at home our children can practice these techniques without hurting each other. 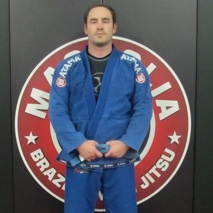 We recommend Magnolia BJJ to anyone! This school has excellent teachers for all aspects of Judo and Jiu-Jitsu. Gi and No-Gi techniques are taught as well as stand-up. Great overall program for all ages. My son has been involved for three years and still loves the program. Kids classes are taught by making the learning process fun. This is the second BJJ school I have attended and Coach keeps everyone's ego in check. Scott has a knack for keeping the classes challenging. All belts work together to help each other! We have students that are succeeding in Gi and No-Gi tournaments in the area. I highly recommend Scott and his school.